If your centrifugal pump isn’t discharging properly, there are a number of potential faults and solutions. Here we examine some of the most common. 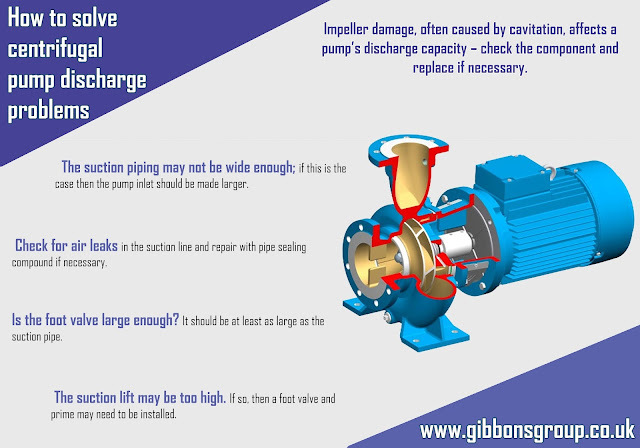 If you have a pump problem you can’t solve, give Gibbons a call. We supply and repair swimming pool pumps, Lowara submersible pumps and grinder pumps to name just a few, so call Matthew Gibbons on 07970 676272 or email matthew@gibbonsgroup.co.uk for expert assistance.